From National Radio Astronomy Observatory: “Astronomers Find “Cannonball Pulsar” Speeding Through Space” » Dame Susan Jocelyn Bell Burnell at work on first plusar chart 1967 pictured working at the Four Acre Array in 1967. Image courtesy of Mullard Radio Astronomy Observatory. 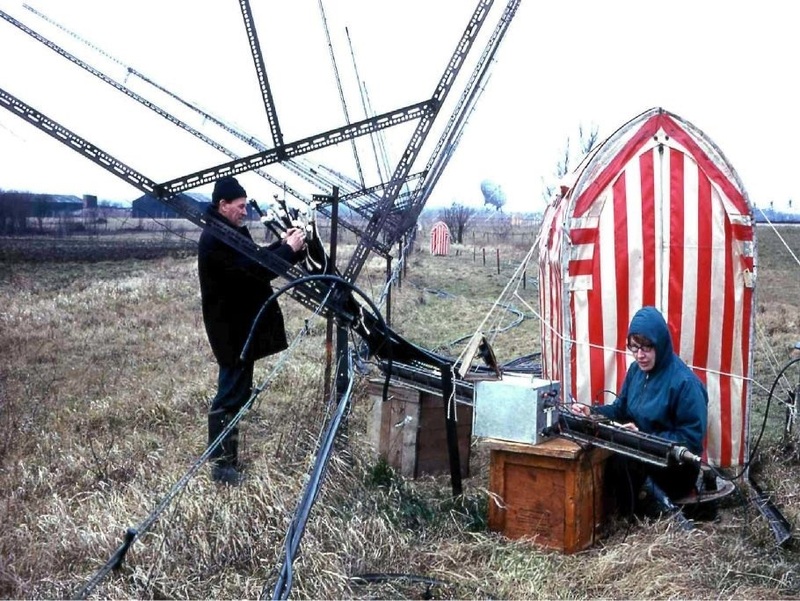 Dame Susan Jocelyn Bell Burnell at work on first plusar chart 1967 pictured working at the Four Acre Array in 1967. Image courtesy of Mullard Radio Astronomy Observatory.